Who doesn’t have an Elvis story? This play tells the story of Elvis Presley through the eyes of 17 women – some enthralled, some appalled, all obsessed!This fast-paced series of five comedic scenes and three monologues relates the Life of Elvis Presley … from Tupelo Mississippi where 11-year-old Elvis wanted a BB Gun instead of a guitar to The Steve Allen Show, from President Richard Nixon’s office to Andy Warhol’s studio, and from Cadillac Salesmen to Graceland guards. 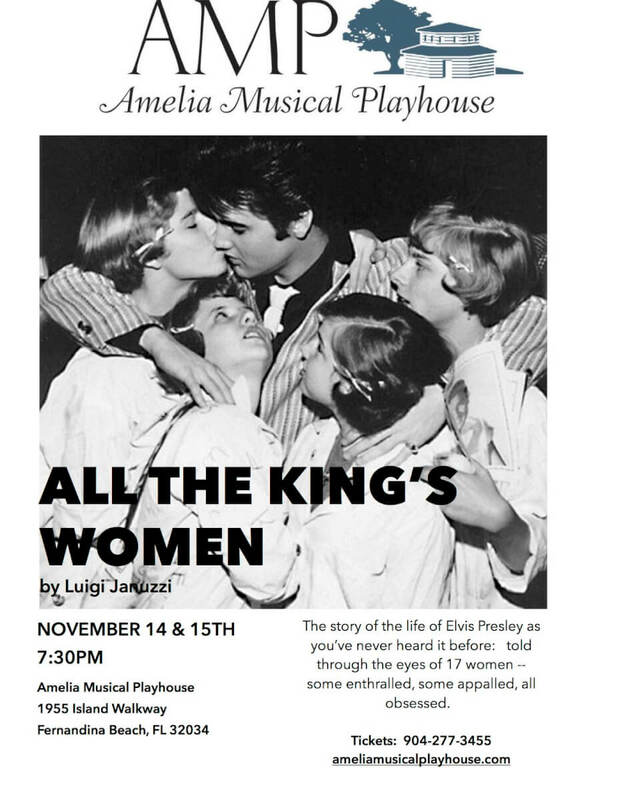 Directed by Arlene Filkoff, the AMP cast features many local favorites from stages on and around Amelia Island. Two nights only!